WEST PALM BEACH, Fla. (Reuters) - A Chinese woman charged with bluffing her way into U.S. President Donald Trump's Florida resort last month was denied bail on Monday by a federal judge who said he believed she was "up to something nefarious." Zhang, 33, was indicted on Friday on charges of making false statements to a federal officer and entering or remaining in a restricted area at Trump's Mar-a-Lago resort, an incident that raised concerns about security at the Palm Beach club. 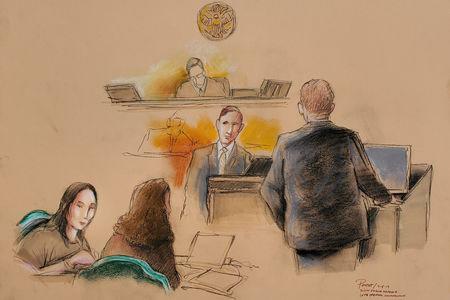 “It does appear to the court that Ms. Zhang was up to something nefarious when she unlawfully attempted to gain access to Mar-a-Lago," Matthewman said. Prosecutors previously said Zhang's thumb drive contained malware. But Assistant U.S. Attorney Rolando Garcia told the court a second analysis found no such software and the first could have been a "false positive." Zhang, a Shanghai-based financial investor and consultant, was arrested on March 30 after giving conflicting reasons for being at the club during one of Trump's weekend visits. Trump was not on the premises at the time. Zhang's lawyers said she paid $20,000 to attend a charity gala at Mar-a-Lago advertised on Chinese social media. Garcia said an analysis of Zhang's social media communications found she was told on March 26 the event was canceled. Zhang's public defender, Kristy Militello, blamed the incident on a series of "genuine misunderstandings." 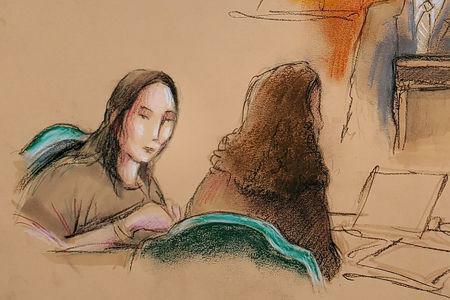 "The sad fact of this case is that if a Mandarin interpreter was provided at that first checkpoint, we very well might not be here today," Militello said of Zhang's initial entry into the resort.